William Grant was born on 19th December 1839 in his father's house in Dufftown. At seven he was sent to augment the family income by herding cattle at a farm on the upper reaches of the River Deveron. Apprenticed to a shoemaker and after a spell as a clerk, William took a job in 1866 as a book-keeper at Mortlach distillery. Immediately he set about learning the art of distilling and in a short time he was appointed clerk and manager. After almost twenty years of learning the art of distilling, William Grant resigned from his job at the Mortlach distillery and bought a field beneath the towering shadow of The Balvenie Castle. He then drew up plans for his distillery and the foundation stone was laid in the autumn of 1886. Although he spoke in the broad Scots of his native Banffshire the Major had a withering command of English particularly when he had a pen in his hand. Highly efficient himself and consumed with energy and ambition he found it difficult to countenance incompetence in others and his bluntness was legendary. On the other hand, with his staff he was a model of consideration. The story goes that he always whistled loudly when he moved around the distillery, especially when approaching a warehouse where he might have stumbled on one of the workers extracting a dram from a convenient cask. William Grant remained active in the company until his death in 1923 at the grand age of 83. The Balvenie Doublewood Single Malt Scotch Whisky is a 12 year old single malt which gains its distinctive character from being matured in two woods. During its period of maturation The Balvenie Doublewood is transferred from a traditional oak whisky cask to a first fill Spanish oak sherry cask. Each stage lends different qualities to the resulting single malt - the traditional casks, having previously held bourbon, soften and add character, whilst the sherry wood brings depth and fullness of flavour. Our Malt Master, David Stewart, whose signature appears on each of the Balvenie bottles, enthuses on this aspect "The Balvenie's high quality is down to the traditional way of making malt whisky... it's this seamless transition through generations of creativity and craft that has preserved The Balvenie’s consistency in producing such delightful drams." Nose: Rich and complex with honey, citrus fruits and vanilla oak notes. Taste: Rich and honeyed with a hint of sherry fruitiness. 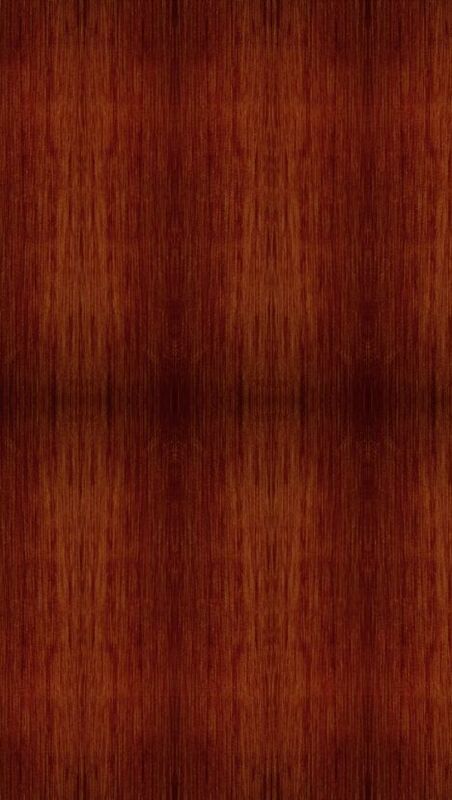 A spiciness of cinnamon and nutmeg and a subtle oakiness develop with time. Color: Medium gold or amber. Nose: The sherry comes through due to the second. Palate: Mellow, rich and smooth. An interesting complexity that will make you pay attention to detail as you taste this very unique malt. Finish: Warming. Long-lasting, with the complexity still getting one's attention. The sherry is evident, with a most interesting fullness. Nose: Fragrant aroma of vanilla, honeyed sweetness, hints of heather and dry oaky notes. Taste: Rich and complex, suggestive of years of careful ageing, it has a honeyed maltiness with vanilla, oak flavours and delicate spice notes. Finish: Long and complex with a touch of liquorice. To create The Balvenie PortWood Aged 21 Years, a marriage of rare Balvenie is transferred to port casks, or pipes, which have held fine port wines. Here it is sampled regularly by The Balvenie Malt Master to ensure that just the right amount of character is imparted by the port casks, enhancing and developing the single malt whilst preserving its original characteristics. In duty free The Balvenie PortWood Aged 21 Years is non chill-filtered and bottled at a higher strength of 47.6% abv. Palate: Refined with remarkable character, it is creamy and silky with fruit, honey and spice notes. USA Buyers: Click Here for Complete Selection of The Balvenie Here! 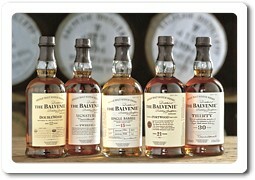 Europe/Asia Buyers: Click Here for Complete Selection of The Balvenie Here! In early 1892, work began to convert an 18th century mansion - Balvenie New House - into a distillery. The Balvenie New House had been purchased by William Grant in March of the same year. Uninhabitable and austere, it was a building of some grandeur with the coat of arms of the Duffs carved into the pediment of its second story. William Grant was a clever businessman and saw this as another venture. He had the land, the rights to use the water and a strong business compulsion to extend his options. The basement was to become a bonded store for maturing whisky, the first storey a malt floor, whilst the upper two floors were to be used as grain lofts. The building took fifteen months to complete and on 1st May 1893, the first distillation took place at The Balvenie Distillery. Over the years there have been a number of discreet expansions. In the early 1920s, the old mansion was levelled to the basement floor and the stone blocks were used to build a new malt barn and kiln. The old malt kiln was converted into malt bins, electric light was installed and the number of stills has increased to nine. Nowhere else will you find a distillery that still grows its own barley, still malts in its own traditional floor maltings and still employs coopers to tend the casks and a coppersmith to maintain the stills. Successive generations of skill on the malting floor, in the tun room and the still house, in the cooperage and the warehouses have preserved the consistency and remarkably high quality of The Balvenie down the years. Our aim is to give you a truly personal experience, for this reason our tours are limited to a maximum of 8 people. The tour lasts for approx 2.5 hours and costs £25 per person. Our tours are only available to those aged 18 years or over. As the Balvenie is a working distillery there are a few areas with steps and an amount of walking is required. The distillery is over 100 years old, and as such, is not accessible for wheel chairs. Advanced Booking: Advanced booking is essential. To request your tour, please complete our online request form or call us on +44 (0)1340 820 373. Cost: Our tour costs £25 per person. Tours are only available to those aged 18 years and over. Groups: Maximum number of 8 people allowed per tour. Tour Details: Our tour manager will greet you at the Balvenie Distillery Office. Over a cup of coffee, they will talk you through a little of the history of the site before the tour starts properly, with a walk into the maltings. The Distillery Office, by this time, you will probably have worked up a desire to taste some of our whiskies. Back in our Distillery Office you will be guided through a nosing and tasting that will take you from the fresh clear spirit from the stills, up through our range to the award winning Balvenie Thirty. The Balvenie Doublewood 12 is excellent as is the rest of the Balvenie offerings. You just get alot of bang for the buck with this one. Most portwoods I find a touch strong in flavor. The balvnie portwood 21 I find is soft, fruity,nutty, and a great scotch. Great with a stuffed pork tenderloin. The single barrel double wood was discovered at one of the most extensive liquor stores in Little Rock, AR as I was perusing the shelves for something new to try. I found it to be very good and added it to my list of malts to be kept in stock. Although being familiar with almost the full Balvenie production range, one of the most distinctive malt scotch whiskies I have ever tasted, at an exceptional aging point, was the 10 year old Founder's Reserve expression, which has been phased out and will surely make me be sorry when it becomes rare.